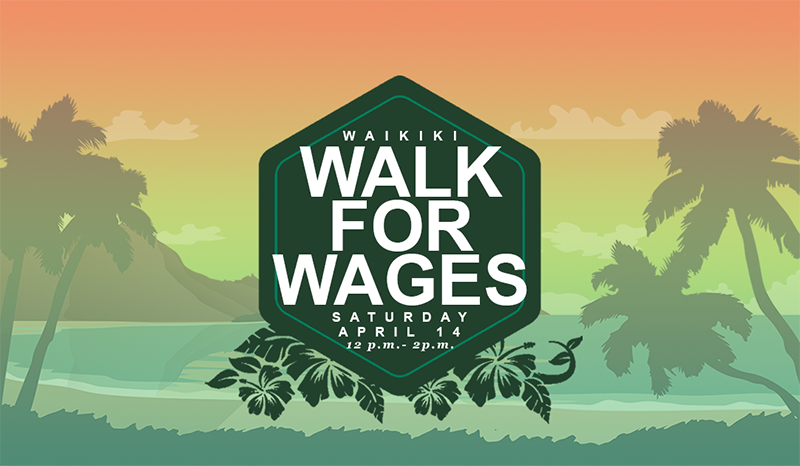 On Saturday, April 14, 2018 from 12:00 PM to 2:00 PM join the Walk for Wages to secure a living wage for all Hawaii workers at Kapiolani Park. Despite historically low unemployment levels, 48% of households in Hawaii are unable to afford their basic needs. This is because over 40% of jobs pay less than a living wage. We will organize in Kapiolani Park at noon with strategies on how to make our goal a reality. From there we'll walk down Kalakaua Ave to draw attention to our cause and let the world know how important this is.